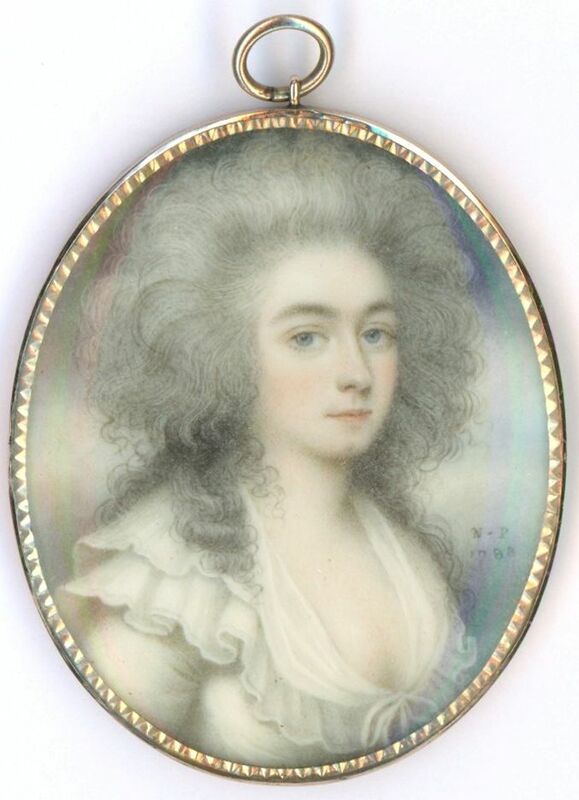 Like his brother Andrew, Nathaniel Plimer initially painted on small ivories. 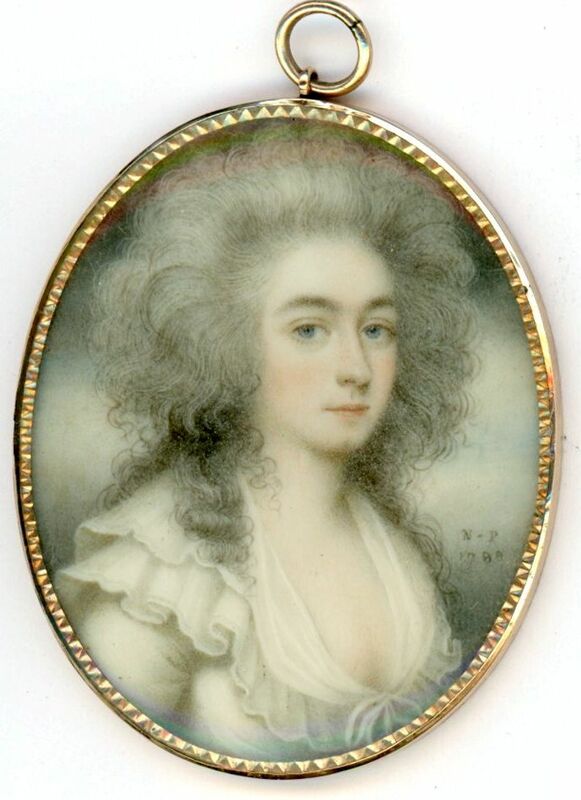 His preference then was for pale colours that created a softness, as in this example of his work that dates to 1788 placing it amongst his earliest commissions. Much attention has been given to painting the lady’s curled hair almost strand by strand as it falls over her shoulders. Even her eyelashes are visible. The dress is typical of the period with a frill-edged neckline worn with a modest fichu fill-in secured with a bow on her corsage. 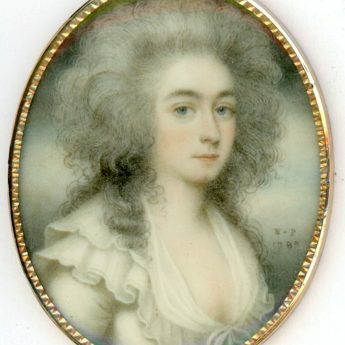 The miniature is signed on the obverse N.P. / 1788. It is housed in the original gold frame that is enclosed on the back and has a narrow decorative edging that draws the eye to the portrait. Nathaniel Plimer (1757-1822) was the eldest son of a Shropshire clockmaker, a trade he and his brother, Andrew, were expected to assume to but, lacking the aptitude for it, the two boys chose to run away, reaching London in 1781 where Nathaniel worked for enamellist Henry Bone and was fortunate to be given painting lessons by Richard Cosway. He exhibited at the Royal Academy between 1787 and 1815. Only his very early works were signed.